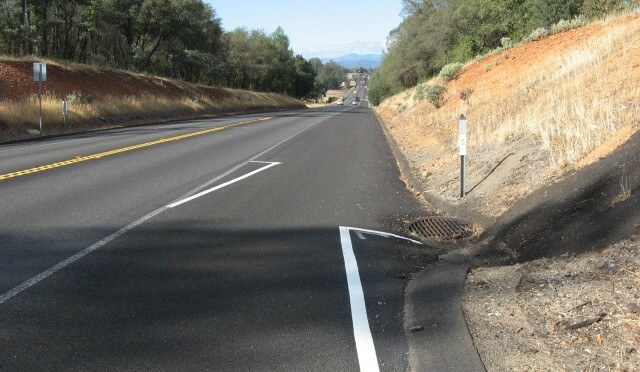 Caltrans District 2 and Shasta Living Streets win state award for newly designed rumble strip markings in Shasta County that make for a safer commute by bicycle. 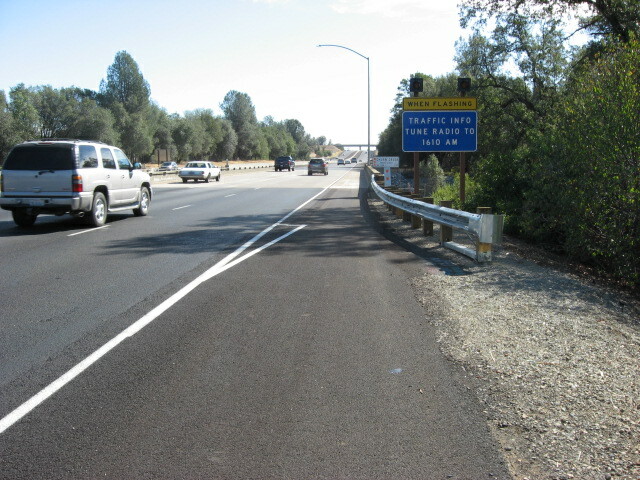 We are very pleased to have partnered with Caltrans for the innovative new hazard-alert markings, to help cyclists ride safely along highway shoulders – the Flying Wedge! Allen Kost, Anne Thomas worked together with Caltrans over a couple of years to make this happen. Keith Williams (Caltrans Bicycle Advisory Board Member, SRTA) also assisted. People ride this route every day and the new markings are an elegant way to keep everyone safe. These new markings are the first of their kind in the state. 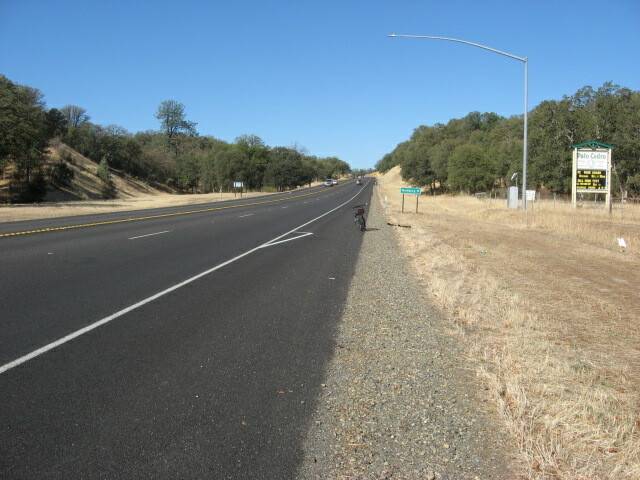 Many people ride roads like this between their homes, businesses, and daily errands because there is often no other option. 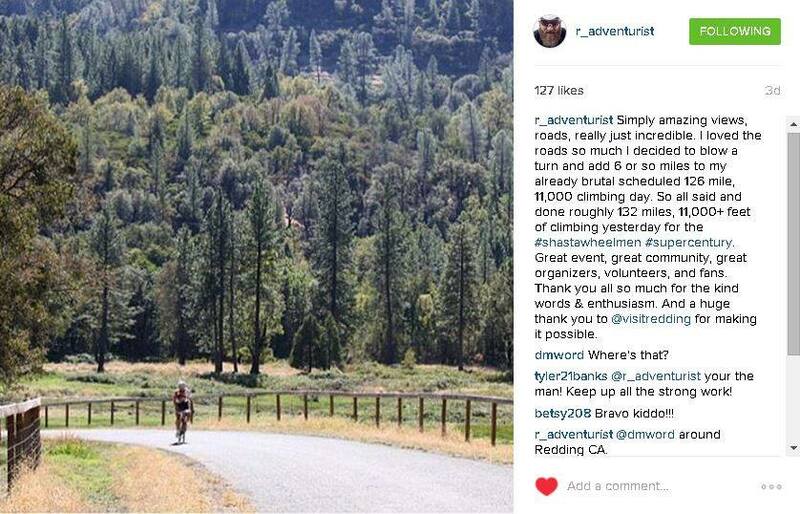 Shasta Living Streets and our volunteers have been collaborating with Caltrans for nearly three years to make travel safer for people on bicycles, by alerting cyclists to rumble markings in the roadway. 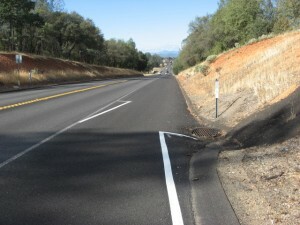 After riding bicycle for many years on State Highway 44 and hitting rumble strips from time to time as they seem to hide in plain sight, the new warning markings that have been added by Caltrans are a most welcome sight. In the past I have been jolted, had tire damage that ensued in delayed flat tires, some by blow out, and know a friend who crashed on a rumble strip that resulted in an ambulance trip to the ER. These rumbles do hide in plain sight. Now with the new white markings a cyclist can concentrate more on the other parts of the road feeling assured that the rumbles won’t pop up so unexpectedly. In addition to marking the rumbles Caltrans District 2 is also marking the drainage grates and other utility covers that could also pose a hazard to the unexpected rider. I find the new markings to be a great addition to making my commute along Hwy 44 a safer and more enjoyable trip. Hopefully these markings will become the norm throughout District 2 and the State of California. 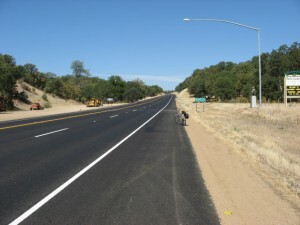 A big thank you Caltrans District 2 for a job well done. 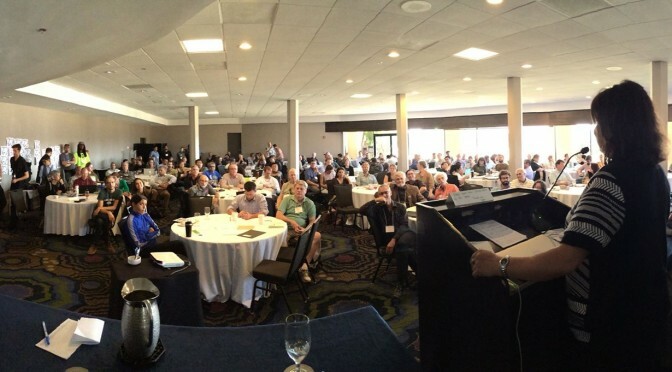 The 2015 California Bicycle Summit took place late October in San Diego. 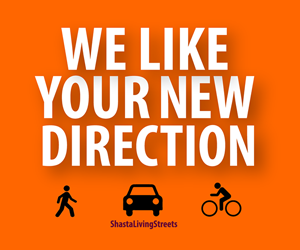 Shasta Living Streets is one of 16 partner affiliates of the California Bicycle Coalition. These affiliated groups are working with the California Bicycle Coalition to triple bicycling statewide and make California #1 for cycling! 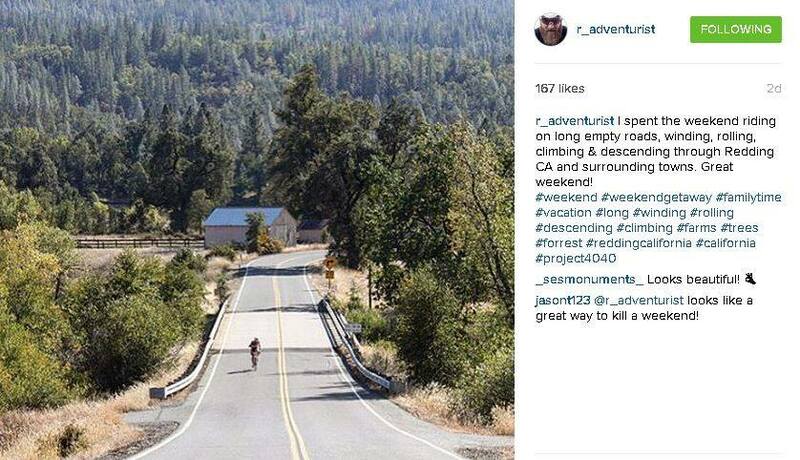 Shasta Living Streets and Chico Velo have formed a local delegation of individuals who will attend the summit and build synergy by learning and networking together. 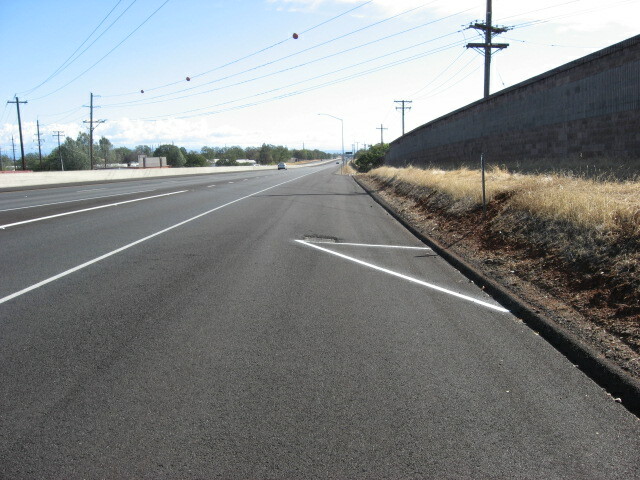 Improvements to Downtown Redding on California Street. 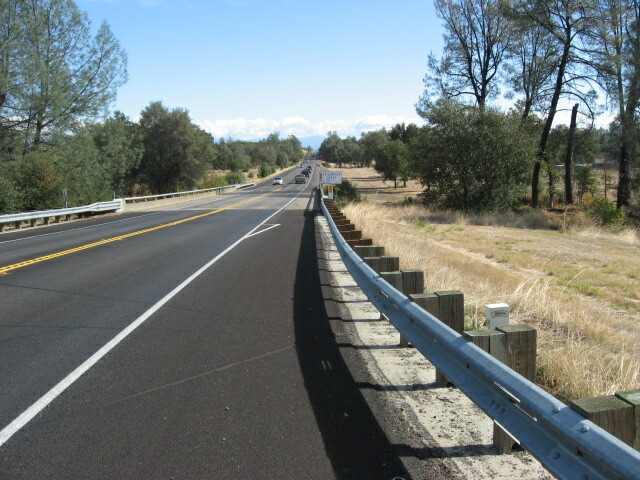 This project won the California Bicycle Coalition’s award for the “Best District Decision of 2014.” This project was featured in the Caltrans Performance Report announcing Caltrans’ new direction and goals. Shasta Living Streets has produced an open street program in Redding for the past five years and we are part of the international open street organizers network. 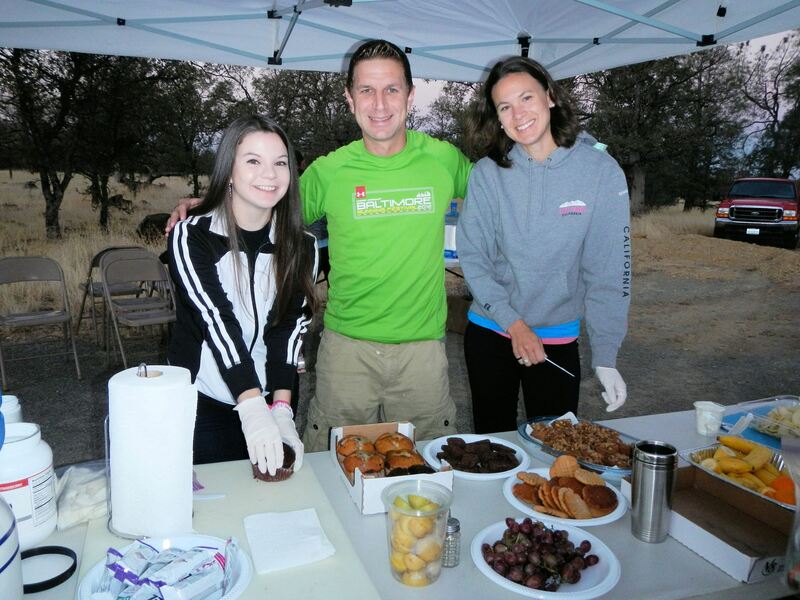 Last year’s event in Downtown Redding was called Streets Alive! We have been asked to discuss how we use our program to help drive outcomes in public health, active transportation, environmental impact, social connectedness and cultural engagement. How to move from temporary events to generating community support and bringing infrastructure change. The Shasta Jamboree was a great success this year! So many enthusiastic, smiling riders – of all ages and abilities! Every year gets better. Thank you to all the volunteers from the Shasta Wheelmen, Shasta Living Streets, Shasta Historical Society, Red Lion Hotel Redding, and the Fall River Burney Bicycle Association. 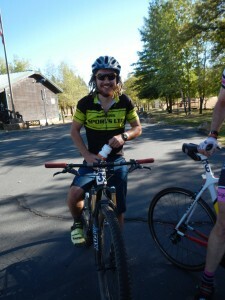 Remi McManus, former US National Road Race Champion, rode in the Super Century. Guess what? – he loved riding here! Local superstar Steven Mills rode the Super Century on a single-speed mountain bike and smiled the whole way! 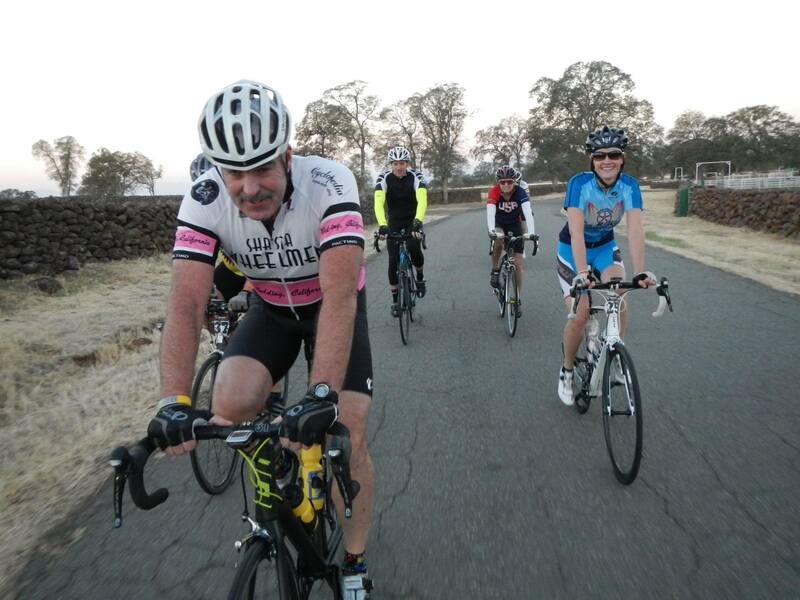 And so many other riders of all ages and abilities enjoyed riding in the Millville Plains and Lassen Foothills. 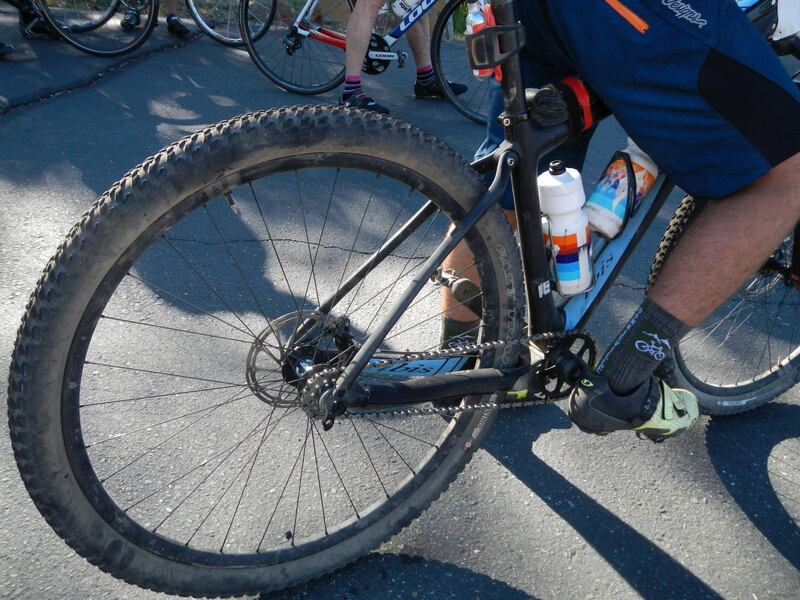 It’s great to work with The Shasta Wheelmen to put on the five rides for the Jamboree each fall for local riders and visitors to Redding and Shasta County. We look forward to next year – when we can do this all again!